With so much information to share on the types of business entities to consider, this post will appear in two parts. The first will look at some of the more commonly recognized entities that business planning lawyers in Cook County help set up, and the second will delve a bit deeper. Without the help of a Cook County business planning lawyer’s input, would you be able to list all of the business entity options available for entrepreneurs? Once you’ve considered that question, ask yourself if you really know which one is right for your business. Chances are pretty good that you answered “no” to one or both of these questions. Choosing the best entity may not be the most glamorous aspect of going into business, but it’s one that can have a significant impact on your success, as well as your stress level. By working with a business planning lawyer, you can affect the taxes you pay, the amount of personal liability you take on, and even the way your business is operated on a daily basis. Cook County business planning lawyers will be well-versed on all of the different business entities, and by learning more about your business, they can assist in understanding the advantages and drawbacks of each. Sole Proprietorship: The simplest business entity, there is little documentation needed, and the individual can easily transfer business and personal assets back and forth. However, this also means that the individual can be liable for the business’ obligations and debts. Taxes are filed on the individual’s tax 1040 tax form. General Partnership: Also very simple to form, this is when two or more individuals conduct business together for profit. Even if specific documentation isn’t needed to form a partnership, any good business planning lawyer will urge partners to create legal agreements among one another. General partners share liability for business debts and obligations. Taxes are completed on a separate form, but profits and losses are reported by each individual according to the partnership agreement. Limited Partnerships and Limited Liability Partnership: Unlike a general partnership, a LP or LLP must register with the state. This provides legal documentation that limits each partners’ liability for the behavior of the others. Taxes are completed in a manner similar to that of a general partnership. Limited Liability Company: One of the most common forms of business entity, the LLC is a company that is made of members rather than shareholders. The members are protected from liability, although there are specific laws and regulations that must be followed that are more cumbersome than for a partnership. On the other hand, the regulations are fewer and simpler than for corporations. When it comes to taxes, the LLC offers a variety of options that allow members to file in the same manner as a partnership, as a corporation, or as an S corporation. C Corporation: This entity is used when the business is owned by shareholders and guided by a Board of Directors whom they elect. Shareholders can vote on policy issues while the Directors have the final say. Individual shareholders generally have no liability, and the actual business operations are directed by the corporation’s CEO and other officers. The corporation files its own taxes, although shareholders are also taxed on their dividends and distributions. S Corporation: Cook County business planning lawyers will tell you that this is a fairly simple business entity to choose. While an S corporation is a corporation at the Illinois state level (like a C corporation), it is taxed differently than a C corporation for Federal tax purposes. Taxes are completed on a separate form, but profits and losses “flow through” to each individual’s personal return through the issuance of a K-1. For more information on legal entities and how to choose the right structure for your business, we invite you to call our Cook County law firm at 630-908-2752 to schedule a consultation. One of the most complex aspects of a Cook County wills and trust lawyer’s job is making sure that a trust is properly funded. While the attorney will be able to do much of the work on behalf of the client, there are a number of documents that are needed in order to transfer assets into the trust. Each of these documents serves to ensure that the asset has been accounted for and that ownership of it has been transferred from the client to the trust. Pension plans, IRAs, 401(k), deferred compensation, etc. While gathering each of these documents can be a time-consuming process, it is an important part of working with the wills and trusts lawyer in Cook County in laying the right foundation for your trust. 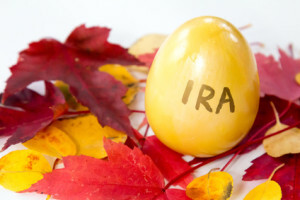 Each of the items above may be used to fund the trust, and therefore a change of title, beneficiary designations, or other aspect may be in order. There are some pitfalls that can cause difficulties or delays, so getting a quick start will bring about a quicker end! Your Cook County wills and trusts lawyer will have solid advice and suggestions on how best to track down this vital information. This is a question we get a lot, and one we typically discuss at length with non-married parents during our planning sessions. 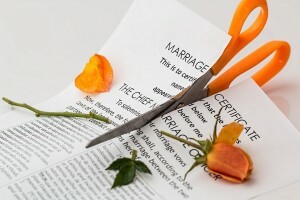 When one of the parties of a divorce decree dies, this will end the custody agreement because there’s no longer anything to govern. In most cases, custody usually reverts to the surviving parent. An exception to this is when one of the parent’s rights to the children has been terminated. If this is the case, many states allow third-parties, such as grandparents, to intervene. Grandparents can also intervene if they believe the surviving parent is not able to care for the children. The burden of proof would fall on the grandparents to demonstrate that the surviving biological parent is unfit. They would have to go through a lengthy custody proceeding that can be stressful on everyone – especially the children. The custodial parent can make it easier for grandparents (or other relatives) to step in after their passing with just a few estate planning steps. For starters, they can name an alternative guardian for the children in their will or trust. They can further explain their reasons for the nomination and why they believe the other parent is unfit. Of course this doesn’t guarantee that the court will allow the guardianship, but it will certainly be a factor in the court’s decision. If the court approves the nomination of a guardian, it doesn’t sever the parental rights of the surviving parent; it simply states that the children will live with the nominated guardian instead. The bottom line is that if you believe that your ex-spouse is not fit to raise your children, it is critical that you take the steps now to put an estate plan and guardian nominations in place that will be in the best interest of the kids should something happen to you. Call us now at (630)908-2752 to set an appointment with an experienced Cook County guardianship attorney if you need assistance getting started.